Emirates Team New Zealand has announced today that its Halsey Street base in Auckland will return to full operation from next Monday, 2 March. Work will start immediately on modifying an AC45 catamaran to foil. With the first America’s Cup World Series regatta scheduled to take place at Cagliari, Italy in June, pressure is on the team to start the modifications. The team also announced it had completed the restructuring process that came out of the team-wide review following the 34th America's Cup in San Francisco. 50 people have signed on to the new team and will be working full time from Monday. Wing trimmer in 2013, Glenn Ashby has been appointed Sailing Director and he and Peter Burling will take on helming duties. 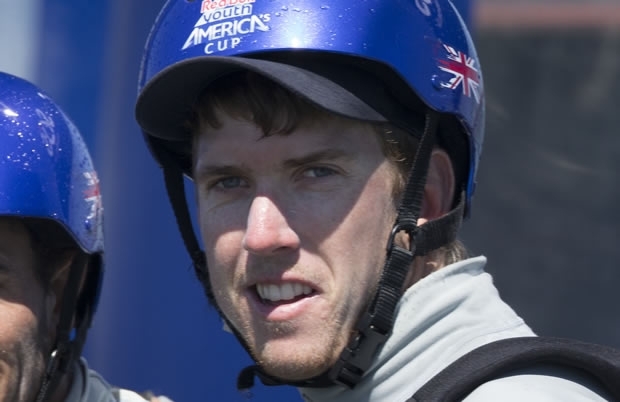 Ashby is a multiple World Champion, particularly noted for his success in the A-Class catamaran, while Burling is current Moth World Champion, was winner of the Red Bull Youth America's Cup in 2013. With crew Blair Tuke, he won the 49er silver medal at the London 2012 Olympic Games. Dean Barker was involved in the review and restructuring process and Emirates Team New Zealand wants to retain his services as Performance Manager and Sailing Coach with a place on the executive committee. "Emirates Team New Zealand recognises that Dean has significant experience and can make a valuable contribution. The role we have offered him would enable the team to capitalise on his skills. Emirates Team New Zealand has now made a formal offer to Dean which he is still considering. Until the review process was completed it would have been unfair to all involved, and therefore inappropriate, for Emirates Team New Zealand to comment on the various reports in the media over the last week. The review process is now complete. "It should be noted that the announcement of Bermuda as the venue for the next America’s Cup series had a serious impact on the team’s finances and sponsorship funding, reducing the budget by some NZ$20 million. This meant the team has had to reduce its remuneration budget and each team member has, as a result, taken a significant pay cut. "Additionally several million dollars has been axed from the operations budget leading to the scrapping of one of the foiling AC45s that we had planned and, consequently, the elimination of one of the planned helmsman positions." “We’re hoping to retain Dean’s 20 years of America’s Cup experience in Emirates Team New Zealand but we also acknowledge it is time for new blood to be given the chance at the helm of the country’s challenger."